It’s not the sandwich you eat; it’s the kind that you spend. The year 2015 marks the 50th Anniversary of a milestone in the history of U.S. coinage. On July 23rd, 1965, the Coinage Act of 1965 was passed by Congress and signed into law by President Lyndon Johnson. The main purpose of the act was to alleviate the shortage of higher denomination circulating coinage which, being composed of 90% silver, was coming under pressure due to the rising price of silver. Let’s take a closer look into how the Coin Act of 1965 changed the state of U.S. coins. LAST CALL FOR GREAT DEALS IN 2014! 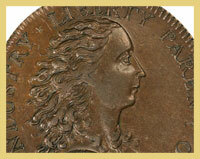 Well worthy at $147,500 as it is a SUPERB GEM 220 year old copper piece that borders perfection! As we wrap up 2014, I would like to thank all of you who have supported PCGS over the past year. 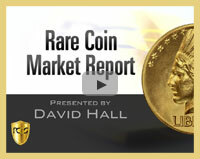 It’s been an eventful year in the coin market with many long-hidden coins coming out. It’s also been a busy but fantastic year for PCGS with our continued expansion into Europe and Asia. There are plenty of new developments on the horizon. We will kick off 2015 with some important announcements at the FUN show. Don’t miss the PCGS Registry Luncheon! Wishing you and your family a safe and happy New Year! If you know Colonials, you know the name Donald Partrick. Let’s preview some of the amazing rarities coming up for auction this year. Goldberg’s Pre-Long Beach Auction takes place January 25-28, 2015. 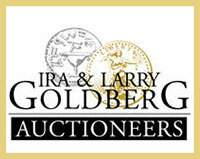 Make sure to visit the Goldberg Coins web site for more details. The online catalog is expected to be up around January 1, 2015. Actively sought after, highly prized, an American Treasure. 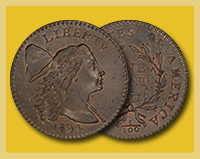 The Lafayette dollar is the first legal tender U.S. coin where a U.S. President appears. Check out ten coins that are literally unobtainable. PCGS Director of Education Mike Sherman covers amazing examples of coins that are both intriguing and untouchable. Facing a mixed market at the moment, David Hall reflects on the overall market. You can catch us at the FUN Show in January and we look forward to some exciting announcements on the horizon. Which 19th Century Dime has the most interesting design? 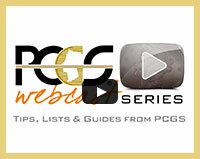 Participate in the PCGS eCollector Survey and you could win a 2000 $10 PCGS BU valued at $50.00.